1 OZ. OF 24 KT. 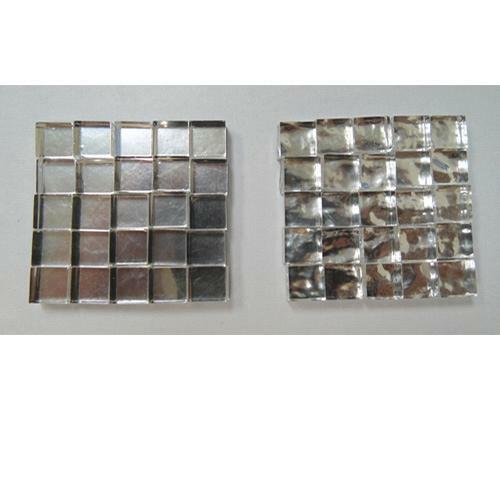 WHITE GOLD TILE IN THE 8MM SIZE. 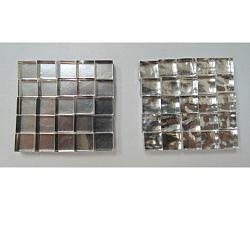 THICKNESS IS 4MM TO MATCH OTHER TILES. THESE TILES WERE HANDMADE FOR MARYLAND MOSAICS. APPROXIMATELY 49 PIECES PER OZ. AVAILABLE IN EITHER SMOOTH OR WAVY.